Argentina has been able to inject some stability into its markets with several aggressive moves. Yet the situation remains precarious. We believe a quick IMF deal followed by adherence to program targets are necessary but not sufficient conditions to make this stability more durable. Argentina is likely to remain under pressure within the context of a broad-based EM sell-off. The government and the IMF are in discussions for a traditional standby agreement. Negotiations will reportedly be led by Treasury Minister Nicolas Dujovne, who will coordinate across nine ministries. 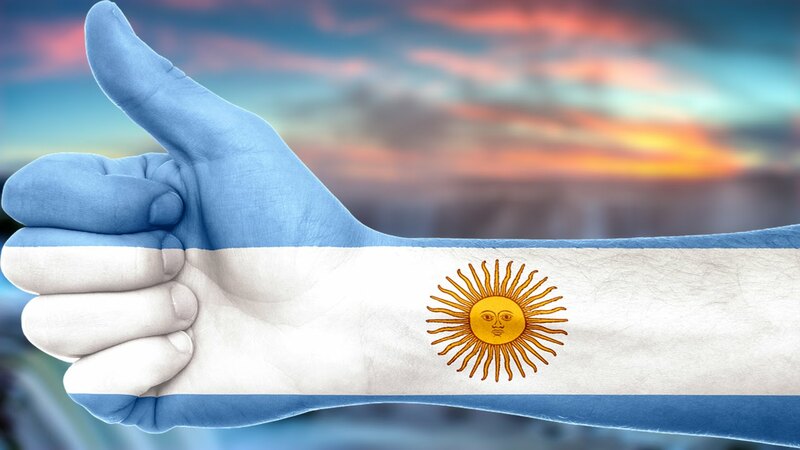 Initial press reports had suggested that Argentina would seek a Flexible Credit Line (FCL). That was a non-starter, as Argentina would not qualify for this. Argentina is reportedly seeking a so-called “exceptional access” loan. This refers to borrowing that is above and beyond the IMF’s normal limits based on a country’s IMF quota. The IMF said that talks so far are “informal.” We do not know what this means exactly, but it’s not a good sign. Forma negotiations should be kicked into high gear. President Mauricio Macri was elected in October 2015 on a platform of economic reform. Tired of the failed populist policies of the Kirchner/Fernandez wing of the Peronist party, Macri was elected in the second round over Peronist candidate Daniel Scioli. The next elections will be held in October 2019. Mid-term elections in 2017 saw Macri’s Cambiemos party sweep the five biggest electoral districts. Especially satisfying was Macri ally Esteban Bullrich’s victory over former President Cristina Fernandez for the senate race in the province of Buenos Aires. Since then, however, Macri’s popularity has suffered and is likely to fall even more after he sought IMF aid. The next section will explain why. For much of the 1990s, Argentina was the poster child for IMF programs. After a protracted period of hyperinflation, President Raul Alfonsin resigned in 1989, five months before his term was to end, and President Carlos Menem took over. After another bout of hyperinflation, the government administered shock therapy in the form of a currency board that was installed in early 1991 by Economy Minister Domingo Cavallo. Supported by a traditional IMF program of austerity (which after all was sorely needed), Argentina enjoyed strong growth and relative stability through much of the 1990s. The seeds for the next crisis were planted by continued fiscal slippage. Financed by heavy debt issuance, wider budget deficits crept into the picture as Argentina strayed from a strict currency board. Despite the relative success of the currency board, several IMF programs were needed due to stresses stemming from the Tequila Crisis of 1993-1994 and the Asian crisis of 1997-1998. Through it all, Argentina stuck to the IMF-sponsored austerity programs and still enjoyed the average growth of 6% from 1991-1998. President Fernando de la Rua was elected in 1999 to replace the outgoing Menem. He inherited a deteriorating situation. The economy contracted four straight years from 1999-2002, weighed down in large part by austerity programs administered by the IMF. Given the peso’s peg to the USD dollar, the broad-based greenback rally from 1995- 2002 hurt Argentina’s export competitiveness and added to the economic stresses. Relations between Argentina and the IMF soured at the end. An IMF program of $7.2 bln for Argentina was approved in March 2000 and augmented in September 2001 to $21. 6 bln. It all ended in tears late that year as austerity measures failed to prevent a default in December. The IMF halted disbursement of funds that month over disagreements with Argentine policies and perhaps hastened the endgame. Indeed, capital flight accelerated, and the government enacted the so-called “corralito” that basically froze all bank accounts. President de la Rua resigned in December 2001 amidst rioting and protests against austerity. He was replaced by interim President Adolfo Rodriguez Saa, who was forced to step down after a week in office and replaced by Eduardo Duhalde. He quickly faced the inevitable and devalued the peso in his first month in office. The last IMF program was a transitional stand-by program for $3 bln, approved in January 2003 and meant to serve as a bridge loan. As the IMF wrote, the loan was made “with the expectation that the transitional stand-by credit will be succeeded by a multi-year IMF arrangement after the election in late April 2003 of a new government.” Interestingly, Duhalde supported little known Nestor Kirchner over former President Menem in the 2003 election. The economic chaos of 2001-2002 paved the way for the election of populist President Kirchner in 2003. Kirchner quickly ended the IMF program, paid off Argentina’s entire obligations to the IMF in December 2005, and vowed to go it alone. This approach carried over to his successor and wife Christina Fernandez. The two were able to follow their populist approach to governing in large part due to booming commodity prices, which helped boost the economy despite poor economic policies. Relations were so strained that Argentina would not allow the IMF into the country for an annual Article IV consultation after its last one in 2006. This changed with the election of President Macri, who quickly re-established ties with the IMF and resumed Article IV consultations in 2016. Yet decades of austerity and bad-mouthing by Kirchner and Fernandez has kept the IMF highly unpopular in Argentina. We think the IMF will eventually provide a stand-by program for Argentina, but it won’t be quick. Macri’s decision to request IMF aid is fraught with potential pitfalls. Due to the IMF’s perceived role in Argentina’s last major financial crisis, going to the IMF will hurt Macri’s popularity even more. Furthermore, adherence to IMF-mandated austerity will be difficult as the 2019 elections approach. The economy is recovering, but downside risks are building. GDP growth is forecast by the IMF at 2% in 2018 and 3.2 in 2019 vs. 2.9% in 2017. GDP rose 3.9% y/y in Q4, the strongest since Q3 2015. However, Q1 appears to have slowed to 3.5% y/y, with March showing a significant slowdown to 1.4% y/y. Due to tighter fiscal and monetary policies, we see downside risks to the growth forecasts going forward. Price pressures remain high and likely to rise further due to the weak peso. CPI rose 25.7% y/y in April, the high for this cycle and well above the % target range. PPI rose 29.9% y/y in March, also a cycle high and portending further acceleration in CPI inflation. Inflation was still running too high when the central bank unexpectedly cut rates in January. That was one of the early signs of trouble. For now, the bold rate hike to 40% has been successful in calming markets. However, the longer rates stay high, the greater the economic costs. That’s why we think Argentina should move quickly to get an IMF program in place. Note that many investors like to focus on real rates rather than nominal. Argentina has a 40% nominal policy rate and 25.5% inflation, which gives a real rate of 14.5%. Compare this to Turkey, where the 16.5% nominal rate doesn't look so high when adjusted for inflation. CPI rose 10.85% y/y in April, which gives a real rate of 5.65%. The fiscal outlook bears watching. Argentina announced a narrower primary deficit target of -2.7% of GDP for this year at the same time that the central bank hiked rates to 40%. If and when the IMF program has been agreed to, we expect fiscal tightening to be extended several years out. The nominal deficit was equal to -6.5% of GDP in 2017, and the IMF expects it to narrow to -5.5% in 2018 and -5.0% in 2019. We see risks to these forecasts due to the 2019 elections. The external accounts remain worrisome. Export growth has picked up, but import demand is growing even faster. The current account deficit was -5% of GDP in 2017, and the IMF expects the deficit to widen to -5.1% of GDP in 2018 and -5.5% in 2019. Due to the so-called J-curve effect, we expect recent peso weakness to pose risks of an even wider current account deficit ahead. Foreign reserves have dropped significantly due to ongoing FX intervention. The central bank pledged to spend $5 bln to protect the 25 level. Since then, it has spent nearly $2.5 bln. This is a pace that cannot be maintained for long. For the week ended May 18, reserves stood at $54.3 bln vs. the January peak near $63.7 bln. They cover about 6 months of imports (good) and are equivalent to only three-quarters of the stock of short-term external debt (not good). Overall, we view the nation’s external vulnerabilities as being high. The peso continues to underperform. In 2017, ARS fell -14.5% vs. USD and was the worst EM performer. The next worst were TRY (-7%), BRL (-2%), and IDR (-1%). So far in 2018, ARS is -24% and is the worst by far. Next worst performers are TRY (-20%), BRL (-9%), INR (-6.5%), and RUB (-6.3%). Our EM FX model shows the peso to have VERY WEAK fundamentals, and so we expect underperformance to continue. Argentine equities are underperforming after a subpar 2017. In 2017, MSCI Brazil was up 21% vs. 34% for MSCI EM. So far this year, MSCI Argentina is -26.5% YTD and compares to -1% YTD for MSCI EM and -6.6% YTD for MSCI Frontier. With tight monetary and fiscal policies posing downside risks to growth, we expect Argentine equities to continue underperforming. Argentine bonds have underperformed. The yield on 10-year local currency government bonds is +279 bp YTD and is the second worst EM performer, behind only Turkey at +291 bp. Shorter-dated paper has fared even worse as a result of the 40% policy rate. With inflation likely to move higher and the central bank likely to keep policy tight for now, we think Argentina will continue to underperform near-term. Longer-term, eventual rate cuts (assuming falling inflation) will likely lead to greater outperformance. Our own sovereign rating model shows Argentina’s implied rating steady at B+/B1/B+. This suggests some model upgrade potential for actual ratings of B+/B2/B, as Macri’s reform program bears fruit.